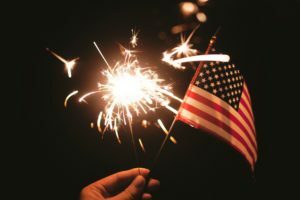 For most of us, the 4th of July means the official start of summer with plenty of parades, fireworks, barbecues, picnics, baseball games, family, and fun. It’s also a time to show our patriotism and love of our country, celebrating our country’s independence. However, have you ever really thought about what independence means to you, your family, your neighbors? This is probably one of the most important and most notable statements ever made in the history of our country and even within the English language. And while in the USA everyone has these rights, they don’t always have the opportunities that this statement foretold. Many within our community struggle daily for their own independence…while maybe not in the same way and for the same reasons our founding fathers fought for our country’s freedom, but an independence that is no less important. These neighbors struggle with independence from worry, financial insecurity, and from having to rely on community programs and assistance; independence from living paycheck to paycheck and day to day…to just achieve the freedom of making it on their own, having stability in their lives, and a decent and reliable way to give their families the security they deserve. While the Puget Sound may be a great place to live, having a job doesn’t guarantee having a place to live. Many people hold down steady, full-time jobs but many workers simply do not earn enough to afford safe, decent housing or even the food they need to survive. According to the Tacoma/Pierce County Affordable Housing Consortium, “someone earning minimum wage – even working full time – will be several hundred dollars short every month trying to pay rent on a basic, 1-bedroom Fair Market Rate apartment.” Wages that aren’t keeping up with the escalating housing costs, limited jobs, and rising medical costs and food prices are putting people in a place of extreme vulnerability. All it takes is one crisis or unexpected expense to threaten their fragile stability. Most of the clients we serve at Making A Difference Foundation are the low-income individuals and families who struggle daily to make ends meet while working one or two jobs or who have fallen on hard times due to the loss of a job or housing. Unfortunately, poverty can be a vicious cycle that proves generational. MADF wants to stop the cycle through quality direct-service programs and education that help the most vulnerable populations achieve that independence. As the Founder and President/CEO of the third largest food bank in Pierce County, I see people every day struggling in our community to obtain the food they need and put a roof over their head. Individuals, families, children, the elderly, veterans, and homeless: hunger and the need for safe, affordable housing doesn’t discriminate. Our programs are geared toward not only helping individuals and families stabilize, but we also work towards helping clients achieve the skills, knowledge, and resources they need to gain that independence. Our programs help teach clients of all ages how to start now to improve their circumstances, find new opportunities, and gain the freedom we all deserve. Which is, ultimately, what the 4th of July is all about. Everyone should have easy access to healthy, nutritious food and not have to decide between food and housing. And we need to come together as a community and work to solve these critical issues so we can create a strong, prosperous, resilient, independent community for everyone. That’s what Making A Difference Foundation is working toward. Please join us in making a difference in our community – because it takes a community!